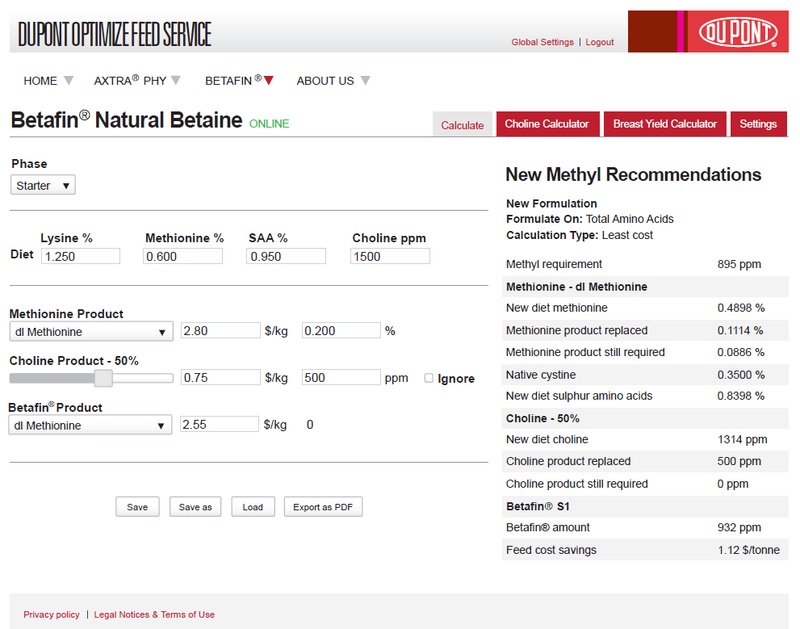 Designed to further optimize your feed profit and performance. Danisco Animal Nutrition offers a range of animal feed optimization services, designed to help you gain even more value from our products. 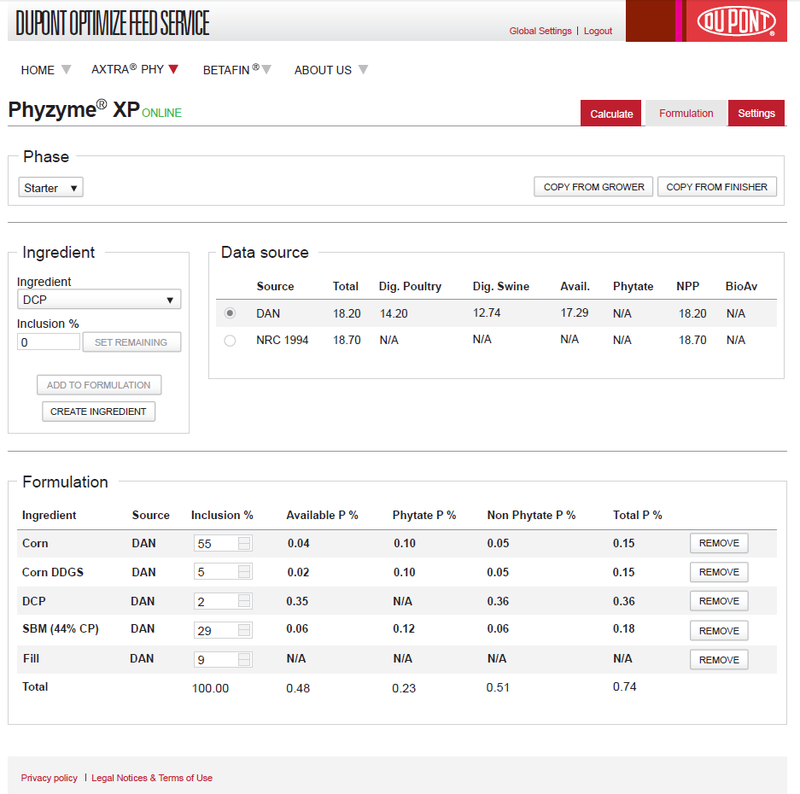 An online tool that uses highly accurate matrix values to calculate the optimum dose of enzyme needed to achieve the strongest performance benefits and cost savings. We also offer offline software services that deliver similarly customized diet and species-specific recommendations. 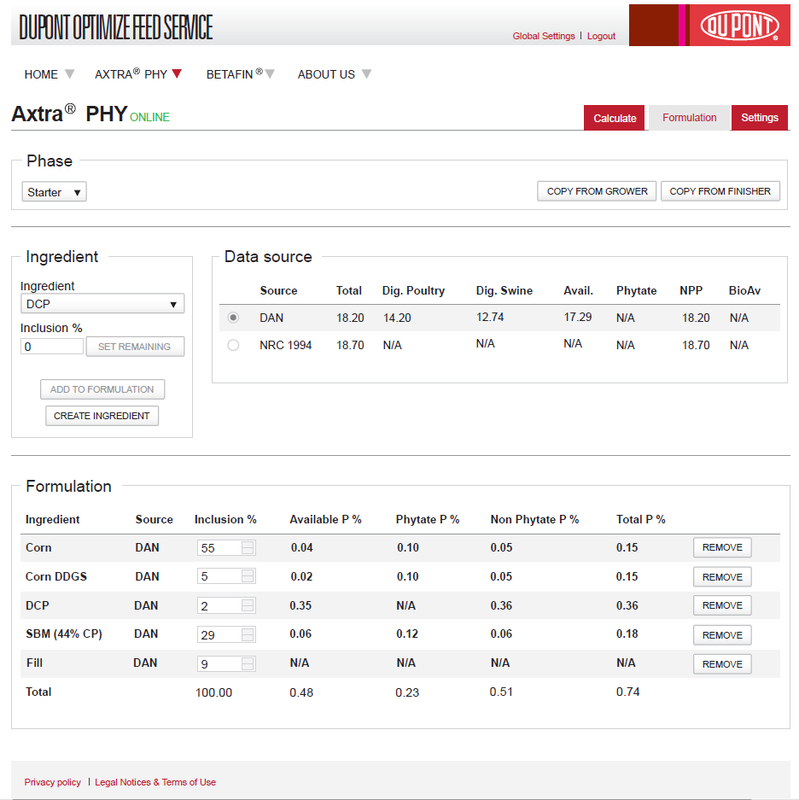 These services are available only to phytase and betaine customers. Please contact us for more details. 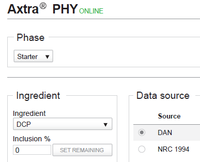 The tool uses accurate and well-researched matrix values, based on 300+ data points for swine and over 500 for poultry. It also takes account of factors such as the age of the animal and diet. maximize uptake of phosphorus and reduce the need for costly inorganic phosphorus supplementation. balance calcium and phosphorus levels, which is important for bone mineralization. rapidly reduce the anti-nutritional effects of phytate, releasing energy and amino acids. 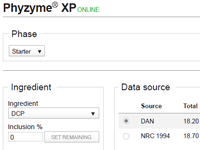 The Optimize Feed™Service also allows accurate and safe replacement of costly methionine and choline by calculating the optimum dose of natural betaine to work out the best phytase and natural betaine doses for your needs — confident in the knowledge that the calculations are backed up by solid global trial evidence. Ensures that the optimum level of enzyme product has been applied to achieve maximum economic benefits, detecting its active presence in less than an hour. Learn how our optimization services help you maximize value from our products and solve production challenges.